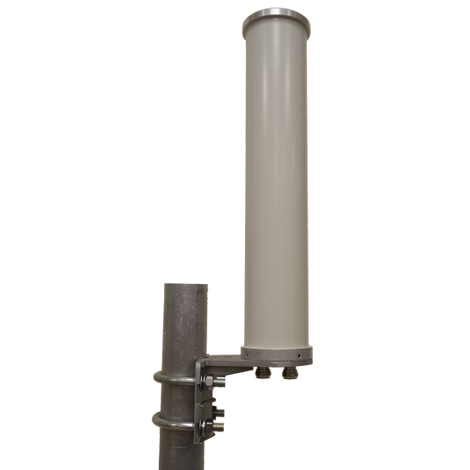 Need a cost-effective antenna solution for large-scale applications? Check out this antenna for large-scale applications of 802.11, Point to Multi-Point, WLAN AP, Mesh Networks, ISM or WiMAX networks. The MARS MA-WO2455-DPDB8 supports 2.4-2.5 and 5.15-5.875 GHz is Dual Polarized & Dual Band and provides stable and efficient performance with 5-8 dBi of gain. This high-performance antenna provides a cost-effective solution for various large-scale applications and systems such as 802.11, Point To Multi Point, WLAN access points, mesh Networks, ISM, WiMAX and more. Elevation patterns are without any deviation from the horizon in full band. © All rights reserved to MARS Antennas and RF Systems, Ltd.